Here's some ramblings on what I've been playing this week. Not many games really since the last time, but I've got loads of nonsensical (and grammatically poor) jibberish to fire at your end of the internet. 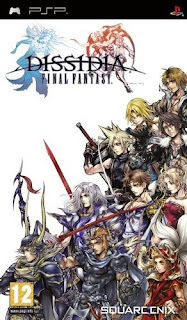 I've been playing a LOT of Dissidia: Final Fantasy for the PSP. I've been looking forward to this game for what seems like forever, since it was announced ages ago. I played a tiny bit of the Japanese version on my friend Joe's PSP quite a few months ago and couldnt quite get into it. For me, it seemed pretty confusing. [The language didn't help, but I was basically just trying the battles out] The big number (Bravery) above the health bars would seem like the logical place to put the HP, and I was kinda surprised to hear that the smaller health bar and numbers below it represented the HP. So anyway, minor interfacing issue aside, I eventually got the hang of the many different moves and commands in this action rpg/fighting game after a couple hours. I've also been abusing the gains that you can get from Bonus Day (which you choose at the start). You essentially get more Exp, Gil, PP, AP etc on one day of the week and can make the gains even better by spending some of the PP you earn in battles and through the story mode in the PP Catalogue. This was my first port of call, to buy all of the Catalogue bonuses so that any further gains in subsequent days would help me get even more PP for the Catalogue. 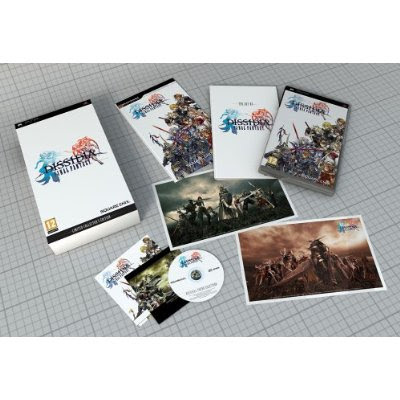 -DISSIDIA FINAL FANTASY Original Sound Selection Mini-CD:The DISSIDIA FINAL FANTASY Original Sound Selection Mini-CD includes a selection of music tracks from the game that are especially chosen by composer Takeharu Ishimoto. The Mini-CD will be presented inside a unique pochette and contain liner notes written by Ishimoto-san. -Hardback, 48-page The Art of DISSIDIA FINAL FANTASY artwork book: Featuring character artwork and CG rendered artwork from across the game production. -Brady Games Official Miniguide: 32 page game guide printed in full colour, with character artwork, descriptions and walkthrough information - to help you win the battle. -Exclusive Lithograph Prints: 2 Exclusive Lithograph prints, inside a unique DISSIDIA FINAL FANTASY branded bandwrap, featuring artwork not used to promote the original Japanese version of the game. I didn't think I'd be so addicted to what is kind of a mix of fighting game, rpg, board game but it takes chunks of my life hours at a time. I'd definitely recommend it. I've already put around 16 or 17 hours into it in the past few days and I've still got a lot to do in it. The thing is, since I started up Dissidia, my other games that I've been playing have got a bit neglected. 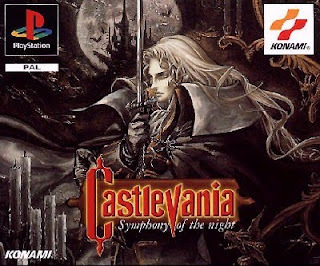 I recently beat Riviera as I was away for a couple days with just my psp for games so went onto Castlevania: Symphony of the Night which is unlockable as part of the Castlevania: Dracula X Chronicles compilation on the PSP. 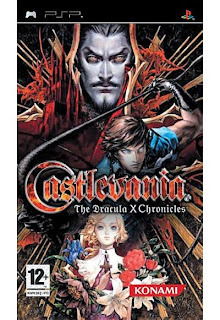 I hadn't ever played this one as I got into Castlevania with my GBA experiences of the metroidvania games. See Also. I'm looking for some lull in my Dissidia obsession to play more of Symphony at some point, as I've enjoyed what I've done so far and wanna beat it. I'm about 2 and a half/3 hours into this and at 43% ish, so it can be beaten quite quickly, but there are lots of things to find and do as well and I think I could easily sink a lot of hours into this one, my latest quest in Dracula's castle. After this, I just need to obtain Order of Ecclesia and I'll have (and have beat) all the GBA-DS titles.